A Scandalous King For You! 5. little or no taxes or they will be paid by others. Wow! Now those are fantastic promises. If he could carry them off what a wonderful king he would be. This is the King given to us by God. Of a scandalous birth to an unmarried girl. This King grew up not in a palace but in a regular family. This King, instead of leading an army into victorious battle, did battle with the devil and his servants. Not at all what one would want for a King. To make it worse, This King was tried in a mock trial with lying witnesses. This King was severely beaten beyond any other man. And this King was nailed to the cross which was the only throne he had on this fallen world. 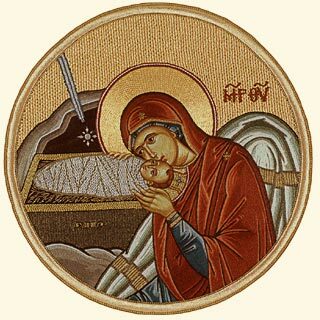 Some of the unbelieving world does not mind the babe in the manger. There he is all safe and warm. And we are safe with him there. The above verse is skipped on secular broadcast on radio and in stores. From a marketing standpoint perhaps it is understandable. But sadly if and when this hymn is sung in many churches this part is left out or rewritten. What of a people who are embarrassed of what Our King did for the world? Is it a wonder this society is going down hill? Take heart dear brothers and sisters. This King is Sovereign. This King has chosen to be located in the manger, on the cross and risen from the dead for you. He has determined his Gospel to never be silenced. This encourages us to repent and trust in his work for us on the cross and his resurrection. We can pray for his Church which is in such disarray that Christ grant her true repentance and forgiveness. And also pray for and encourage his pastors to boldly preach repentance and the forgiveness of sin in the name of King Jesus. Did God Make This Happen to Me? I recall after my daughter Amanda was born. Filled with concern any new father with a beautiful baby girl became my worry. We were blessed with a bright beautiful, happy, bright, sensitive and caring little girl who is still the apple of her daddy's eye. Shortly after her birth something happened to another daddy's little girl. I do not remember her name for this was so many years ago. This little girl was taken from the home while playing in the backyard. She was found a few days later badly used and murdered. My heart was beyond breaking for this little girl's parents. The question always comes at times like those is why? Why did God allow this to go on? Does he not know or not care? Or is he unable or unwilling to help? Did he want this to happen? The last question is perhaps the most painful. The challenge for Christians is to try to answer these questions. Mistakenly thinking they have the answer the attempts are made. Offensive answer number 1: This is a fallen world and bad things happen to good people. This is an attempt, it appears, to try to sound rational and bible believing at the same time. The offense is caused because it sound flippant and said to silence the weeping of the parent. That answer looks even more scriptural for we have a proof text! But placing the verse back into its near context it is addressing the Holy Spirit's work in and for the Christian. The offense here is again flippancy compounded by the fact this verse was never meant for such use. This is the only response which is warranted. We do not seek to explain it to the sufferers. We do not seek to understand because we have no ability to understand the grief. 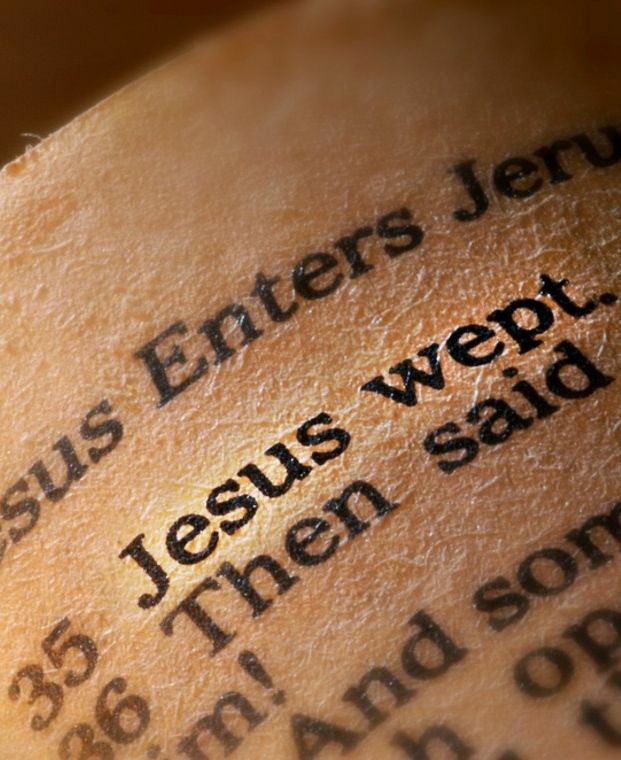 The parents are weeping so the Christian also joins with them in weeping. Jesus knew he would raise his dead friend so why the sadness? He was doing the Jesus job fulfilling the love and care for a friend of which we are incapable. This demonstrates in his humanity and his Deity he is intimately involved with the suffering. He understands the sorrow he is not separated from it We are incapable of fully understanding the sadness another is experiencing due to our fallen condition. We are too self focused and cannot totally love our neighbor as ourselves. We just want to end our misery by trying to end the suffering person's misery. We are not only incapable but unwilling for it is uncomfortable and unseemly to cry openly with a sufferer. Jesus atoned for this inability and unwillingness on the cross. We are not held liable for this sin of not caring as we should. His resurrection secures for us justification which is given to us as a gift. Jesus' resurrection is our focus point during all times of suffering. What a glorious promise we receive through faith.